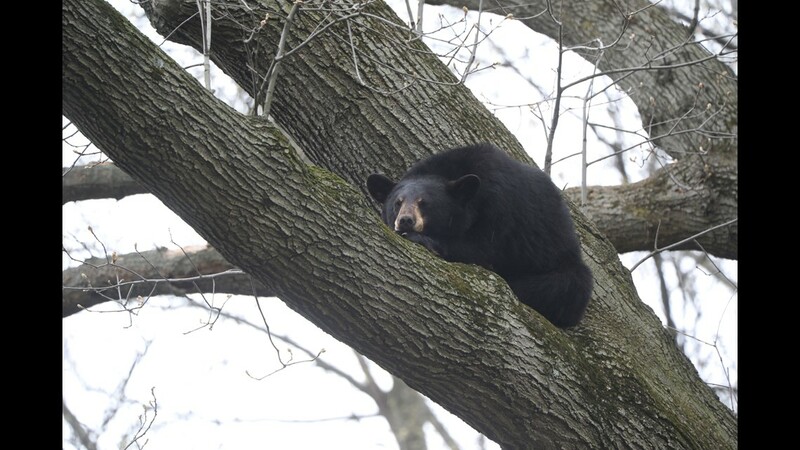 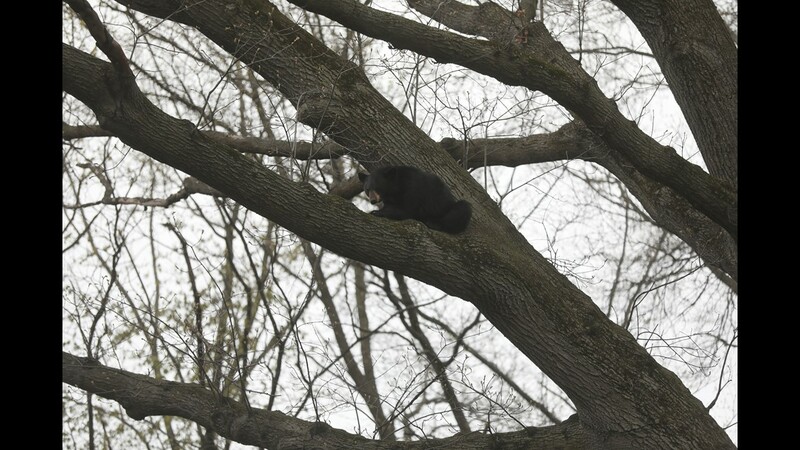 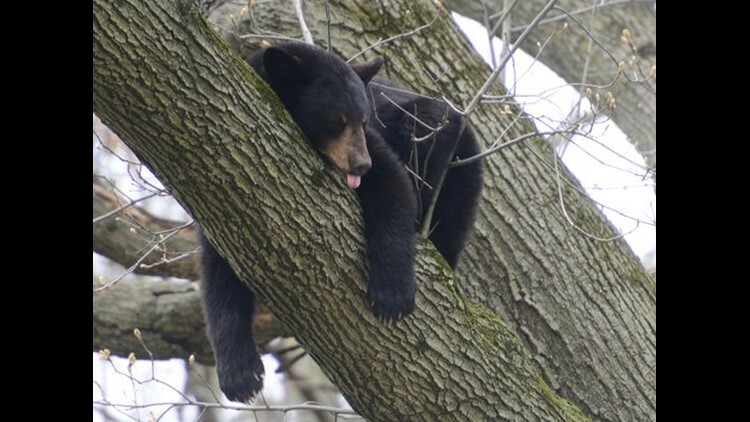 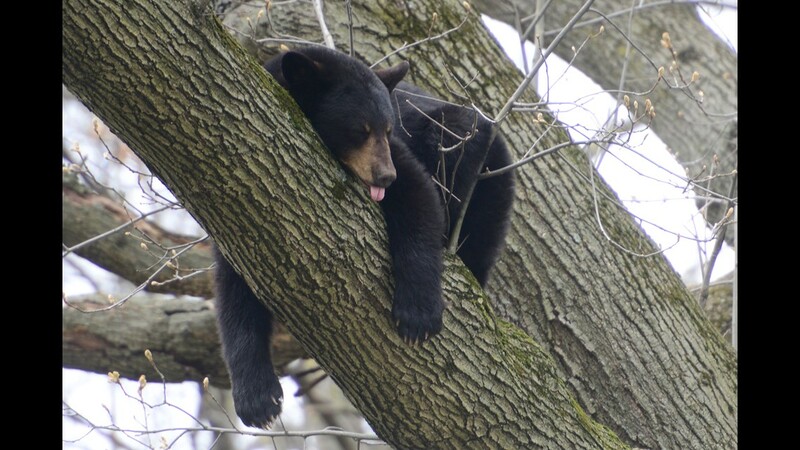 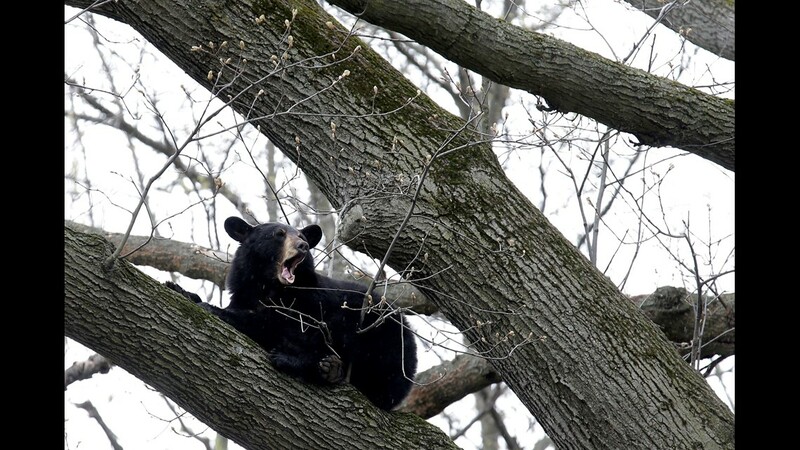 A black bear sleeps in a tree in the backyard of a home on Benton Road in Paramus on April 30. 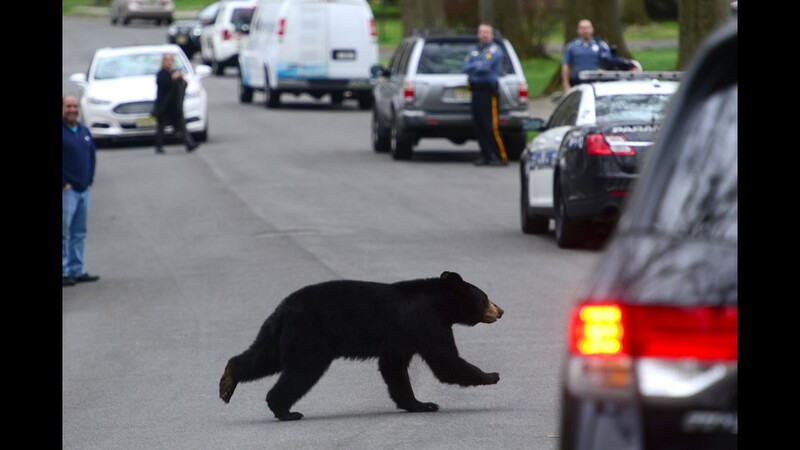 ROCKAWAY TOWNSHIP, N.J. — Channeling Winnie the Pooh with its head stuck in a honey pot, a large black bear with an apparent sweet tooth smashed a car window to get to the two dozen cupcakes inside. 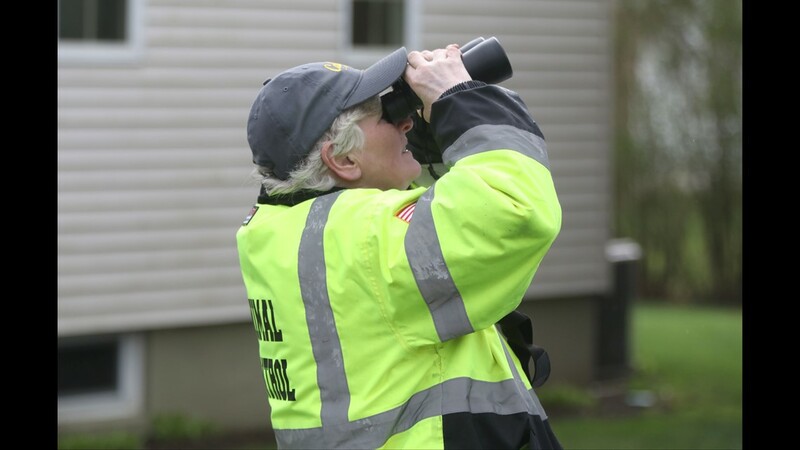 Christine Allen, who owns a bakery, left the cupcakes inside her parked Honda SUV parked in Rockaway Township, N.J., on Wednesday night. 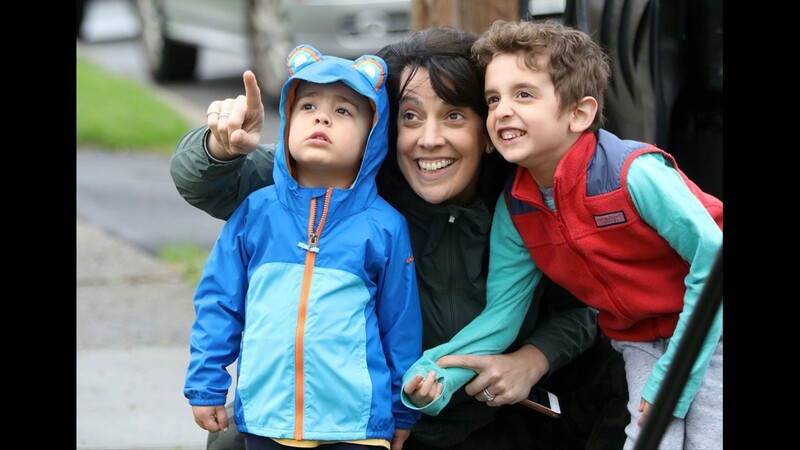 Christine Allen said she baked the cupcakes for her shop in Denville, N.J. She said she was being industrious and getting ahead of a large order when she loaded her car with cupcakes Wednesday night. 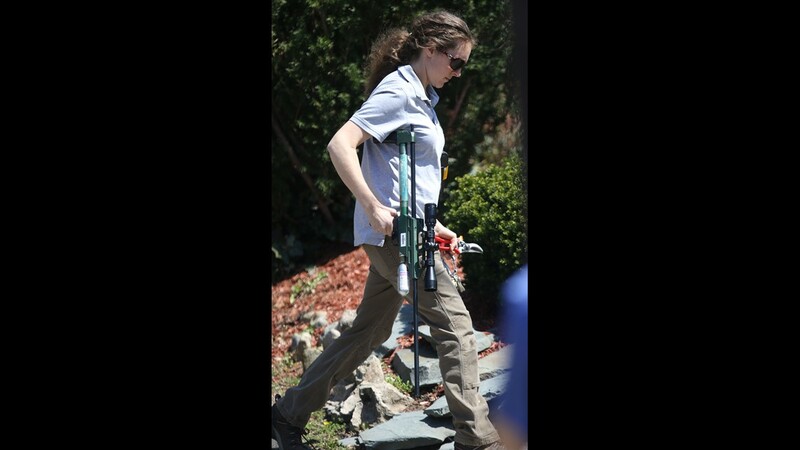 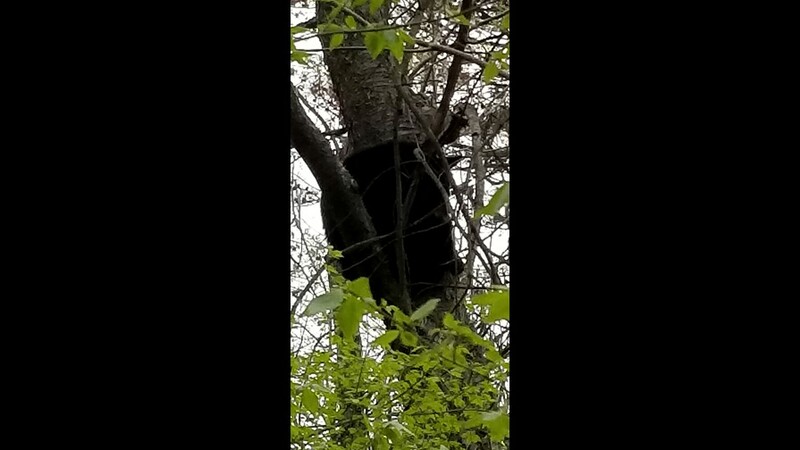 The first time this bear was seen by the Allens was the morning of April 21. 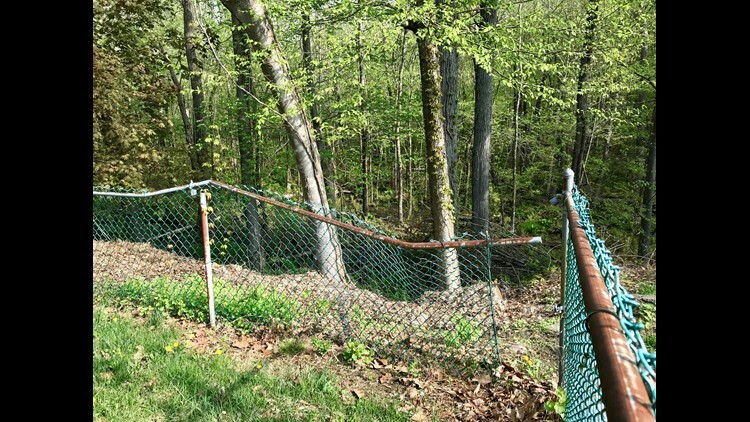 The couple's home backs up to a wooded area that connects to Wildcat Ridge, which consists of 3,700 acres of forest. 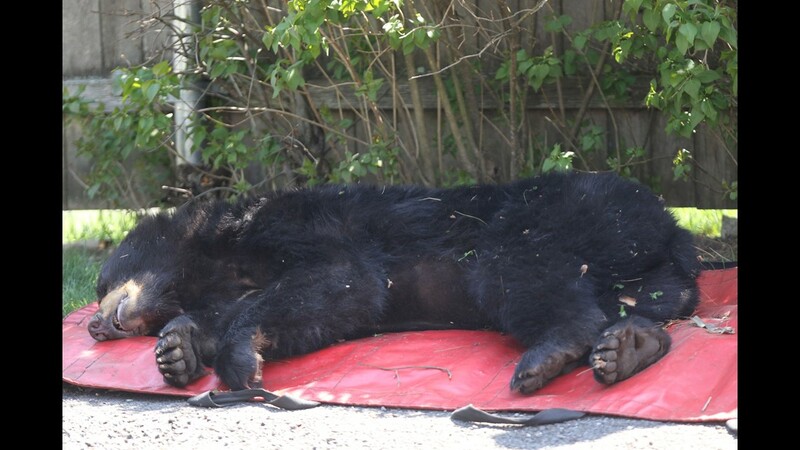 A black bear breaks down a fence on the way to a family's basement in Rockaway Township, N.J. in April. 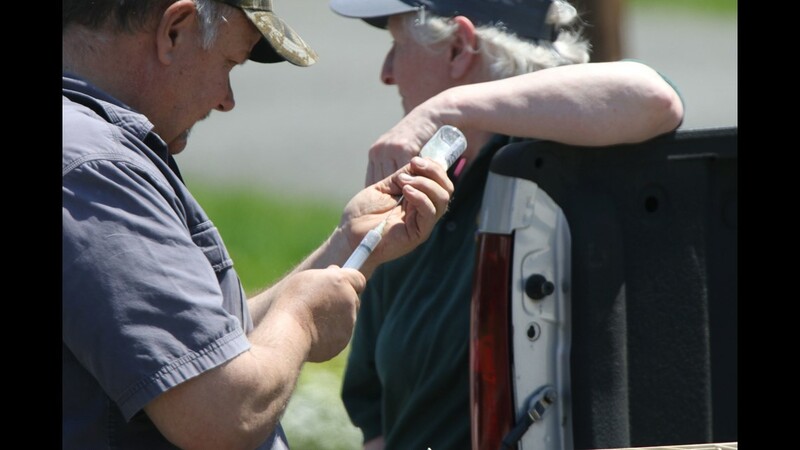 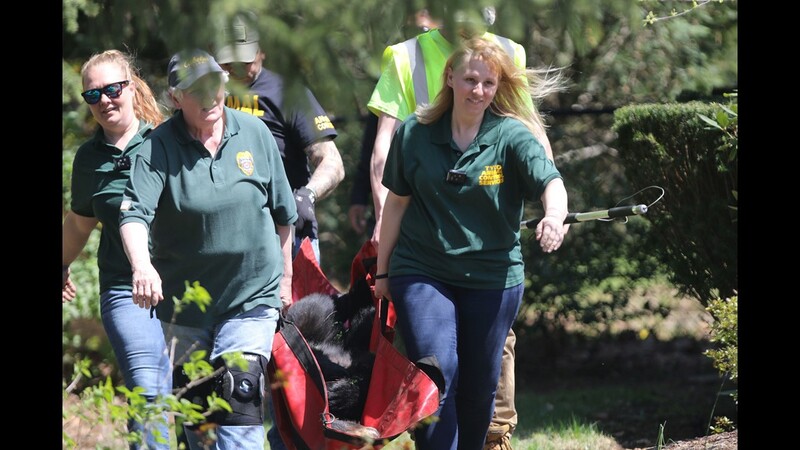 Rockaway Township Police carry “bear conditioning kits” in the trunks of patrol cars that contain rubber buckshot and pyrotechnics to scare bears away. 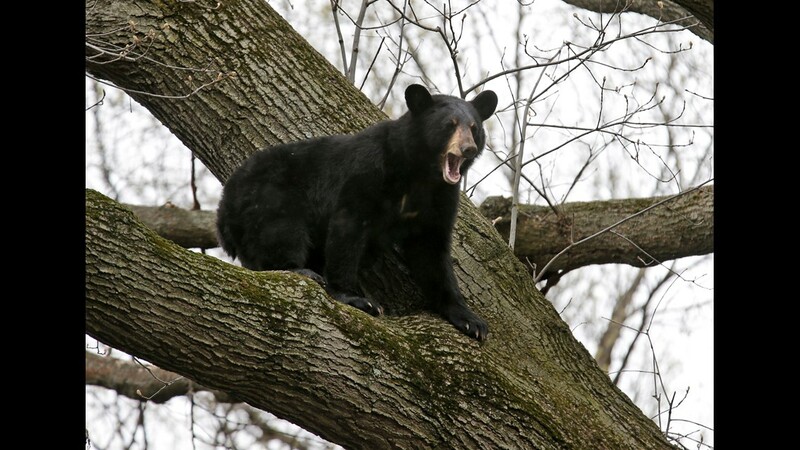 But Reilly doesn't recommend that "because you don't want to scare them into an area where there are more people." 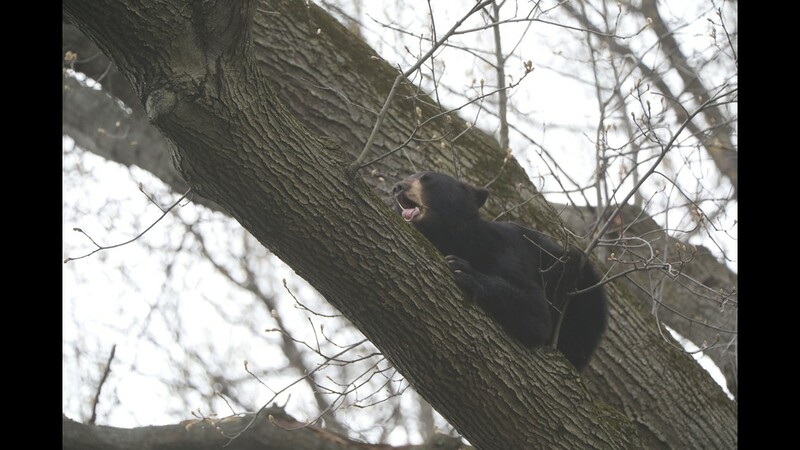 "But we now have a record that this guy is a little more aggressive, so when we get calls to the area we will have a different level of response," Reilly said. 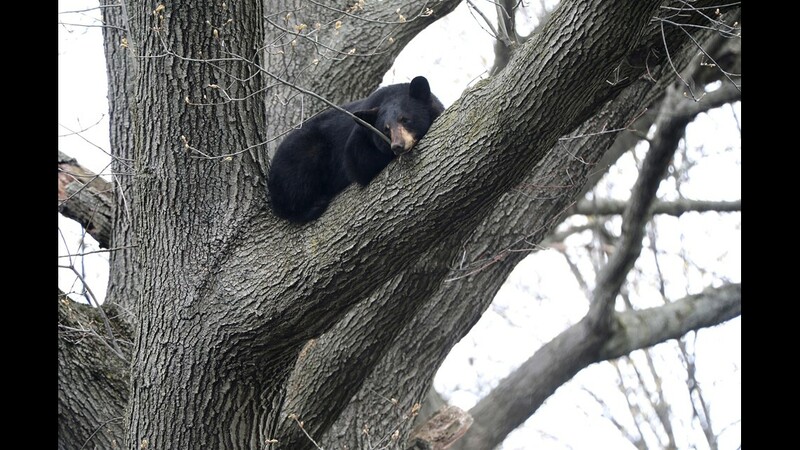 A black bear sleeps in a tree in the backyard of a home on Benton Road in Paramus on Monday April 30, 2018. 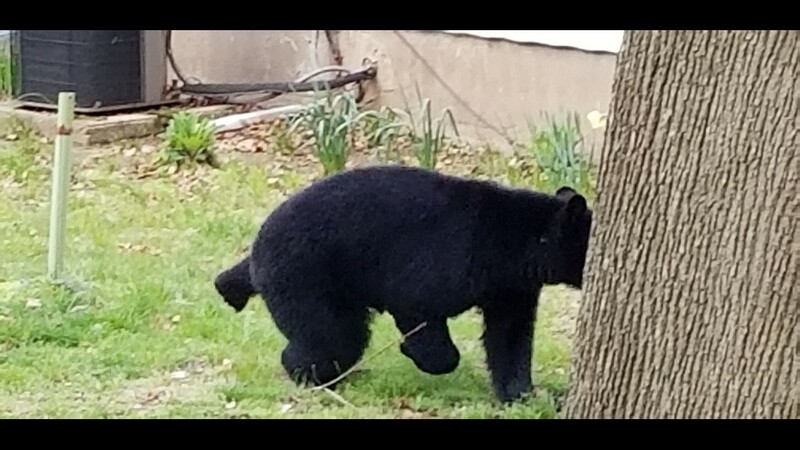 A black bear runs across Benton Road in Paramus on Monday April 30, 2018. 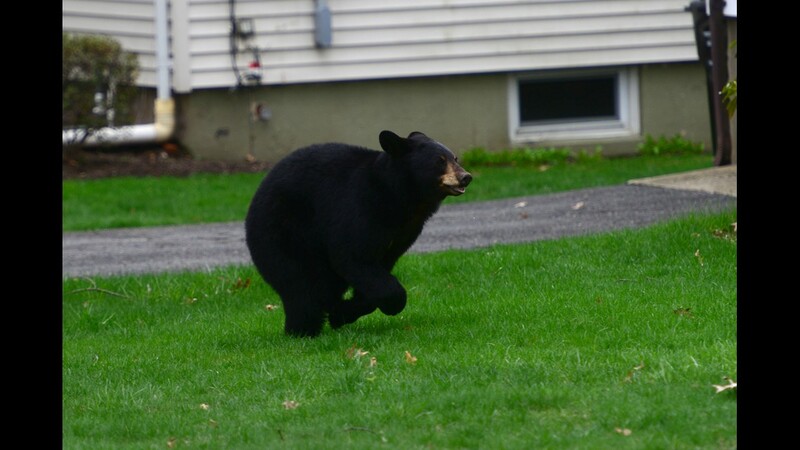 A black bear runs across the lawn of a home on Benton Road in Paramus on Monday April 30, 2018. 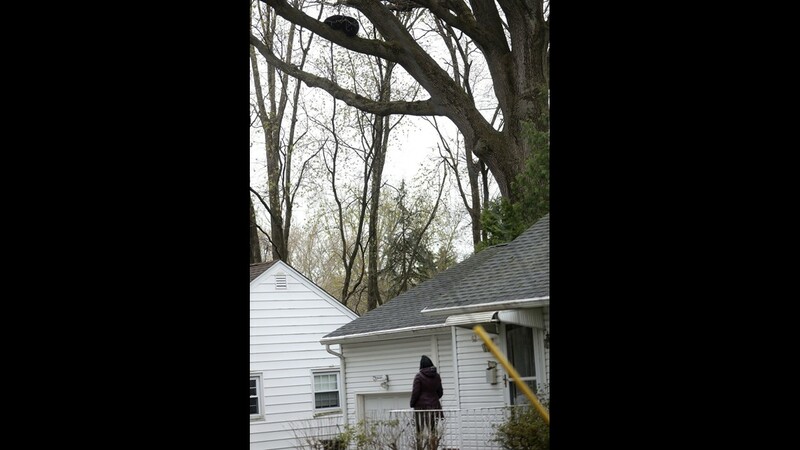 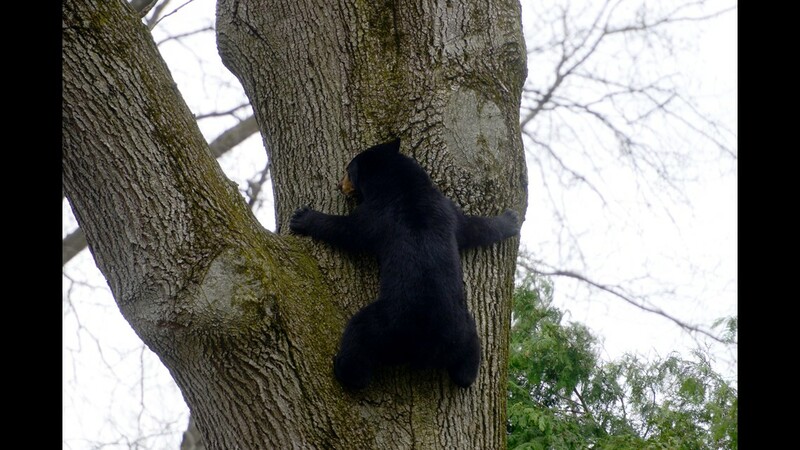 A black bear climbs a tree in a backyard of a home on Benton Road in Paramus on Monday April 30, 2018. 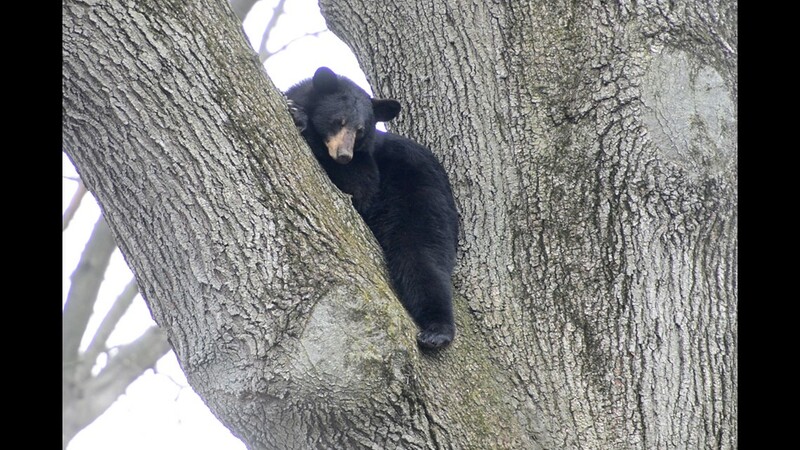 A black bear sits in a tree in the backyard of a home on Benton Road in Paramus on Monday April 30, 2018. 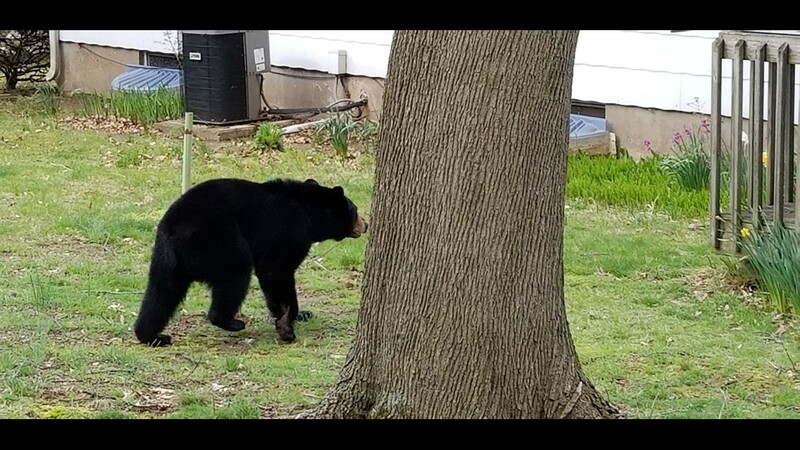 Bear sighted near Sirianni Park, in Paramus.